Day 89 of the sequester and we are all still here. Here’s a story that will make you mad and then shake your head at government stupidity. Seems that furloughed workers, a result of the sequester, are eligible for unemployment compensation. We furloughed workers to save money and yet we have to pay them because they are out of work! 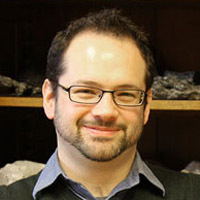 Erik Klemetti is an assistant professor of Geosciences at Denison University. He reveals that it appears this swarm of quakes occurred on the Mohawk Valley fault zone and is not related to Mt. Lassen nearby. Looking back 20 years, this area is seismically active and is part of strike-slip fault system in which one land mass is moving past the other.